How difficult it is to use Ykode? It is a Cloud Based web-development platform. Developer can now make their Web-Apps, Portal without worrying about server side scripting. It saves at least 30% of development time and over 50% of maintenance time. 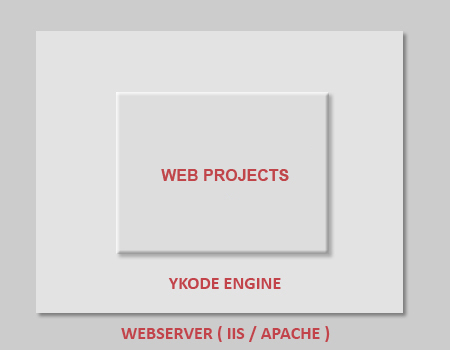 Ykode is not a CMS, it is similar to using an IDE (Integrated Development Environment) on cloud. 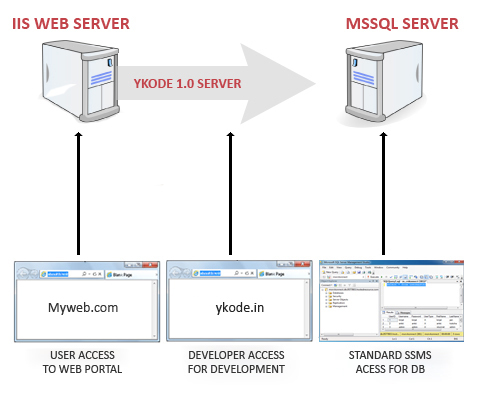 In Ykode developers don't write any server side scripts. Development process is truly modular; Designers, Coders and DBA can now work independently without depending for each other. No Code Compilation or deployment hassles, code compilation and maintenance happen in real-time. Multiple teams can work simultaneously on same project from different geographical locations. Code is automatically integrated and revision history is maintained. Zero Server Side Coding, designers can now handle forms. Code testing is needed only for client scripting. Development time reduces by minimum 30%, maintenance time is reduced by minimum 50%.